FNs komite for avkolonisering tillater at tredjeparter og sivilsamfunn kan høres som såkalte 'petitioners'. Et islandsk advokatkontor innrømmer til islandske medier at de betales av Marokkos ambassade i Oslo for å delta der. Dokumenter lekket på nettet tidligere år viser at den marokkanske amabssaden i Oslo ikke bare har betalt det islandske advokatkontorets billetter til New York, men hadde også hele talen ferdigskrevet innen den ble lagt fram i FN. Se også dette dokumentet for mer informasjon om Marokkos framstøt på Island. Artikkelen nedenfor er oversettelse av en sak publisert av det islandske gravejournalistiske nettstedet Stundin 4. august 2015. Advokatkontoret innrømmer å være betalt av Marokko for å presentere høringsinspill i Generalforsamlingens komite. Oversettelsen til engelsk er gjort av Støttekomiteen for Vest-Saharas islandske søsterforening. Gisli Björnsson argued the case Morocco during a meeting at the United Nations last year. Letter from the Moroccan ambassador in Oslo leaked on the internet. Decades-long dispute over control right over the old colonial Spanish North Africa. Icelandic lawyer, Gisli Björnsson, has worked for the government of Morocco at the United Nations in their struggle to secure control over the territory of Western Sahara located south of Morocco in North Africa. This is stated in a letter to the embassy of Morocco in Oslo sent to the Foreign Ministry of the country in the capital Rabat in September last year, where the reported involvement of Gísli at a meeting at the United Nations on behalf of Morocco and confirmed for his flight-tickets. The letter, which is in French, was leaked on the internet last month and also included a speech he held on the subject of Western Sahara at a meeting at the United Nations in New York last October. When asked by Stundin, Gísli says that he was entrusted with the task after having worked for the Ambassador of Morocco in Oslo, Yassine Dalal, by assisting Moroccan nationals in Iceland. Subsequently he has been asked to go to New York for the Government of Morocco to speak for the country on the issue of Western Sahara at the United Nations. "I've just been working remotely for the ambassador of Morocco in Oslo on the affairs of Moroccans living in Iceland. So I was just sent to New York to argue their case. " Moroccan interests of ensuring the territorial sovereignty over Western Sahara are important because of natural resources that are to be found, including oil and gas resources as well as rich fishing grounds. About 500 thousand people live in the area. The territory has been disputed since 1975 when Spain relinquished their power, but had up to then been a colony of Spain. Western Sahara was divided between Morocco and Mauritania, but residents of the area, called Sahrawi-people were dissatisfied with gaining no control over the region and war broke out. Sahrawi-people wanted to establish a separate state, Sahrawi Arab Democratic Republic, in the region, but Morocco disagreed. Mauritania withdrew quickly out of the war, thus leaving Western Sahara mostly under Moroccan control. The war lasted until 1991 when the United Nations negotiated cease-fire and peace in the region. Since then, both Morocco and Sahrawi freedom movement, Polisario Front, worked to get other countries in the world to recognize their claim to the area. The dispute, however, is still pending. "This is a dispute which has been going on between Morocco and Algeria for a very long time," Gísli tells the journalist. He says that since ceasefire was established, the dispute has been discussed at the United Nations. One of the standing committees of the United Nations deals with issues of Western Sahara once a year in its efforts to try to reach a decision on the future for the territory, that is to say what state should have sovereignty over it and why. Gisli says he expects to return to the meeting at the United Nations in the fall to speak for the government. "I expect to go back in the fall yes." He said it is difficult to say how the dispute will end where there is no consensus on who should claim the territory. The positive is, however, that work has been done to build up social institutions and infrastructure in the region in recent years and that benefits the population. "It is difficult to say how this ends. Moroccans of course believe they have sovereignty over this region. " The dispute over ownership of Western Sahara has several times been discussed in Icelandic media. For example was the dispute brought into the spotlight while writing about the fishing of Icelandic fishery company Samherji off the beaches of the area few years back, as well as when the Association of Icelandic friends of Western Sahara was founded in 2013. Its members believe that the people of Western Sahara should themselves make a decision on their future and be allowed to found an independent state, should they choose to. Thorir Hrafn Gunnarsson, one of the founders of the Association, had this to say in 2013: "Western Sahara has been called the last colony of Africa. [...] "It has been repeatedly demanded that self-determination for the people of Western Sahara will be respected and the population, including refugees, will be the ones allowed to determine their future. We who organized this foundation believe that the position of this nation must be of special interest to Icelanders, given that their conditions are familiar to us. This is a small nation on the Atlantic living in spread country that depends heavily on fishing. " 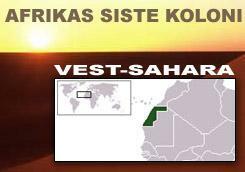 The Icelandic friends of Western Sahara Association is not in favor of the Moroccan receiving sovereignty over the territory and wants to empower the local pipulation to decide their future while Gisli assists Morocco as a lawyer to try to secure control over the region – regardless of what personal opinion he may have on the dispute.